Much admired in-town Victorian in the heart of the village with sidewalks to ballfields, town pool, library, harbor & Common. 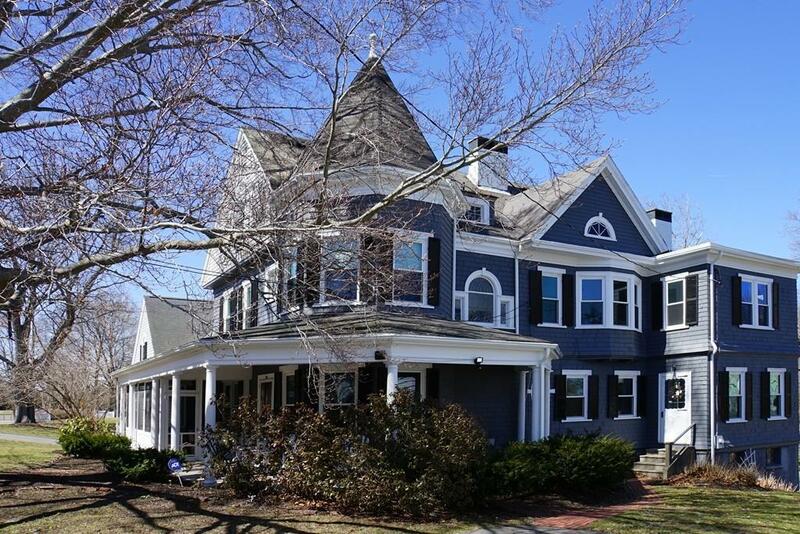 This 13 room gracious home features high ceilings, oversize windows, arched doorways, wood floors, 3 FP's, gorgeous millwork & beautiful architectural detail. A wonderful blend of formal & casual spaces create a flexible floor plan. Grand foyer leads to both a cozy sitting room & stylish living room with fireplace. An elegant dining room with FP & ornate millwork features decorative glass windows. Modern center island kitchen with stainless appliances, granite counters & light filled dining area with floor to ceiling windows to deck for grilling. Expansive master suite enjoys a private study, enormous walk-in closet & luxurious master bath. 2nd Floor AUPAIR suite with separate entrance & parking can be a HOME OFFICE, STUDIO or IN-LAW. 3rd floor includes a bonus room, bedroom & office. New Furnace in 2018. Greater commuter location 5 minutes to train.